« March 19, 2019, Portland, Can Civility Save Us? What is the Rightful Role of Government in America? 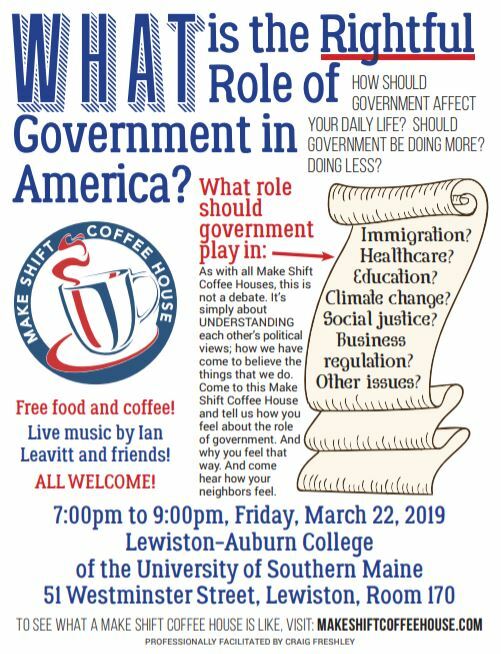 How should government affect your daily life? Should government be doing more? doing less? Live music by Ian Leavitt and friends! Follow this link to see what a Make Shift Coffee House is like.